We all know why 2012 is special. A certain big event is taking place this summer that we have been anticipating for four long years. Tickets have been hard to get, yes, but, come the summer, that will have been forgotten, as the crème de la crème of international talent gathers before us for the big display. I can’t wait. You can’t wait. None of us can wait for the opening of Documenta 13. Hang on a moment. There seem to be some issues with the upcoming Documenta exhibition. This huge creative beanfeast, mounted twice a decade in Kassel, Germany, may be the most presti­gious of all international exhibitions of modern art — the Olympics of modern art, they call it, although that surely undersells it — but the list of exhibitors this year gives cause for pause. When the Documenta cast list thudded into my inbox recently, I read it, reread it, then pressed delete. Remarkably, there were no British artists in the show. This censorship of Britishness appeared so unlikely that, when I thought about it again, a few weeks later, I plunged back into my recycle bin and retrieved the press release for another look. The second perusal revealed a British artist of sorts in the person of Emily Jacir, who is originally Palestinian, but who shows quite often in London. Yet I see that in her official Documenta biography, she gives her domicile as “around the Mediterranean”, so maybe she doesn’t count after all. The fact is, British art has been strikingly unpopular in the global art world for some time. The big international biennales have avoided it with increasing obviousness. Even the best biennale of all, the great event in Venice, has appeared keen to feature fewer Brits. Now Documenta 13 misses them out entirely. It’s like the Eurovision Song Contest all over again. Which I suppose makes me Terry Wogan for deciding I will not be going. Of course, international politics are involved, exactly as they are with Euro­vision. The invasion of Iraq and the war in Afghanistan have upset lots of biennale types. Yet when it comes to undemocratic interference on the side of democracy, the Americans are surely guiltier than we are: so how is it that so many American artists have made it onto the Documenta cast list? Perversely, I write this lament on the avoidance of British art at exactly the time when various displays of this same art are proving so popular in London that getting ­tickets for them is practically impossible. Anyone trying to access the Lucian Freud exhibition at the National Portrait Gallery, or David Hockney at the Royal Academy, will find themselves involved in the fiercest of ticket wars. Desperate art-lovers are queuing for leftovers from three in the morning. Unscrupulous touts are jacking up their prices on eBay to ludicrous levels. 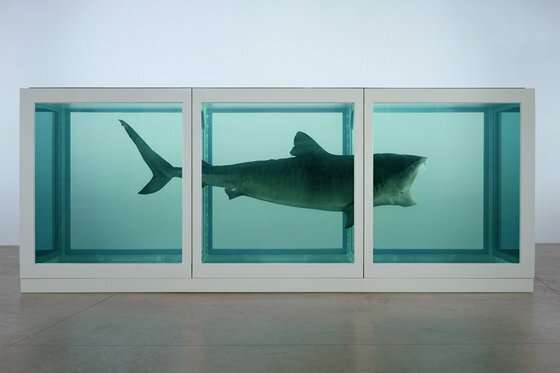 And just wait till the Damien Hirst exhibition opens at Tate Modern next month. That will be some bunfight. Then there’s Tracey Emin in Margate. And Gillian Wearing at the Whitechapel. Yet the more popular British art becomes over here, the more determined international curators seem to be to exclude it over there. What’s going on? A few months ago, I was sent some information about a preparatory Documenta talk coming up in Oslo. Other talks had taken place already in Cairo, New York, Buenos Aires, Thessaloniki and Paris — but not in Britain. This latest talk was being given by Christoph Menke, who is, I read, professor for practical philosophy at the Goethe University, in Frankfurt. His topic was “What is aesthetic freedom today?”, and, in his Oslo lecture, he was going to “deconstruct” the question of how the arts could regain their “practice of freedom”. Not just any old freedom, either, but a freedom that stands “in contrast to the freedom of contemporary consumer capitalism”. Professor Menke was going to bash some bankers. Now it is obviously true that British art has been ridiculously successful on a number of financial fronts. What I had not previously grasped was how deeply this fiscal success had irritated the rest of the international art world. I don’t just mean the horrendously well-attended Frieze Art Fair, which popped up from nowhere to become the most prestigious such fair in the world. Or the continuing expansion of London’s galleries, which led this month to the opening of a branch of White Cube in Hong Kong. When Roman Abramovich paid £17m for Lucian Freud’s painting of a fat benefits supervisor on a Tuesday night at Christie’s in New York in 2008, then spent another £43m on a Francis Bacon triptych at Sotheby’s on the Wednesday night, he was merely completing a descent into fiscal insanity that had been under way in British art since the early 1990s. The Freud price was, at the time, the highest paid for a work by a living artist, while the next night’s Bacon lolly was the most ever spent on a work of contemporary art. The fact that the two auction houses gorging most happily on this art spree, Sotheby’s and Christie’s, are also British, with dark London roots that go back into empire days, makes the current frenzy appear even more questionable. You don’t have to be a professor of practical philosophy at Goethe University to be troubled by this inter­weaving of business and art. We should all be troubled by it. If we take 1988 as a starting point — because that was when Hirst organised Freeze, the exhibition that launched the Young British Artists, or YBAs — we see before us a transformation that has no precedent. Describing it as a “rags to riches” transformation is not enough: this is Arthur Scargill to Prince ­William. Having been an art critic for the entire era, I unhesitatingly describe it as the most important development of my working life. Put crudely, a nation of ­modern-art haters has turned into a nation of modern-art lovers. For proof of the change, all I have to do is point at Tate Modern. These days, it gets visited by 5m people a year and is the most successful contemporary art gallery in the world. Yet I well remember, when I worked at Channel 4, trying to persuade the Tate’s director, Nick Serota, to devote more space to the annual Turner Prize exhibition, and being met by a determined Tate resistance — on the grounds that nobody would go to see the show! In those days, contemporary art was considered a huge turn-off. And the idea that a museum of contemporary art would be visited by 5m people a year would have seemed a hopeless fantasy. It was the appearance of the YBAs, with their glamorous, viewer-friendly British pop art, that did the most to change that. Before their arrival, contemporary art often felt like homework: Carl Andre’s bricks at the Tate being the most notorious example. Interestingly, the YBAs themselves, despite their game-changing contribution, have never been happily accepted by the official British art world. Hirst’s upcoming retrospective at Tate Modern is not his fourth, fifth or sixth big show at the Tate. It’s his first. Tracey Emin has never had one, nor Gillian Wearing, though both have finally notched up big solo shows in London, Emin last year at the Hayward, Wearing this month at the Whitechapel. It was the commercial art world that championed Hirst, Emin, the Chapmans et al, not our public galleries. The Tate’s policy towards the YBAs has been noticeably supercilious. That is also the attitude of the organisers of this year’s Kassel Documenta and the assorted international biennales that preceded it. In the eyes of the people who mount such events, the popularity of Britain’s artists is a cause for suspicion, not celebration. And as for all the filthy corporeality that Freud brought to his nudes, or that Bacon used to enjoy so tangibly, those are the base achievements of a nation of painterly cavemen. In Germany, they prefer Gerhard Richter or Sigmar Polke, thinking artists who tackle big topics of considered international import. In France, meanwhile, they seem to have passed through the phase of needing artists at all, and are now content to celebrate the ideas of French curators. You knew I would get to curators sooner or later. They really are a menace. Twenty years ago, they barely existed as a species. These days, they run the art world from top to bottom, and are especially active at events such as Documenta. The chief reason British art is mistrusted and hated abroad is that international curators disapprove of it. It isn’t clever enough for them. It does not espouse enough theory. It has a directness to it that makes their gaseous interpretations redundant. And it likes jokes, which they don’t. Going back to Documenta and its absurd press releases, I see that three British curators have been included among the “participants”. Iwona Blazwick, from the Whitechapel, is named as a Documenta adviser. Hans Ulrich Olbrist, the Serpentine director about whom I had cause to moan recently because of his anti-British tastes, also appears. And I see that my old Van Gogh lecturer, Griselda Pollock, who is now “professor of the social and critical histories of art and director of centre for cultural analysis, history, and theory at the University of Leeds”, is involved as well. So why are there no British artists at the Kassel Documenta? Because there is no room left for them once all the ­inter­national middlepersons have been counted in.